Twin Flame Energy Forecast Nov 12th-18th: "Balancing Act"
Welcome into a week full of new potential developments, lessons, challenges, opportunities and positives! Major events this week include Venus finally going direct, but Mercury heading into a retrograde – clouded by a clash with Neptune. The 11/11/11 gateway opens to positivity, but are you able to step into its full potential? Monday we are still in the midst of the much-anticipated 11/11/11 gateway which is still active till midweek! The truth is, no gateway will magically fix your connection. Please do not put all your hopes on a date or a transit to solve all your problems and “uplevel” your life! Because the truth is, what happens on a daily basis is much more important! The higher your personal energy vibration, the more you begin to attract love, ease, harmony *every single day*. And yes, that includes the hotly anticipated aspects of the 11/11/11 gateway! When you are aligned with a high vibration personally, you begin to access more and more of your higher self’s wisdom and multidimensional capabilities, the veil of perception begins to thin, you begin to attract a state of unity with your Twin Flame instead of running, conflict or ghosting, and more… Not just for one brief period but EVERY DAY! In essence, when your vibration rises you begin to step into more of your full potential as a being of light. And when you’re in a higher state, you’ll benefit so much MORE from these gateway times too – because the incoming light won’t just be triggering the density and heaviness in your system to purge. So if you haven’t already do make sure you download and use my Free Energy Cleanse Audio right now! 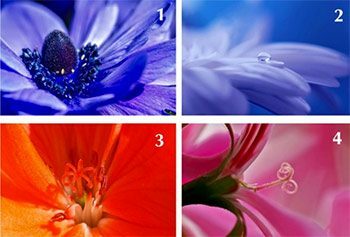 It will uplift your personal vibration and enable you to really flow with the best of this short period of the 11/11/11 gateway – AND for the long run. Click here to download now (no credit card needed, and no spam). This is set to be a challenging week. 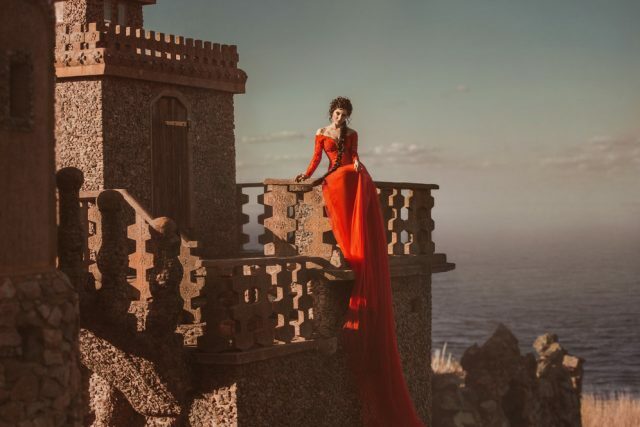 Mars enters Pisces on the 15th and it indicates a feeling of spaciness and vulnerability – and it’s highlighted that the masculine Twin is set to feel uncomfortably out of “his” element. And love is still looking very unclear – there’s a lot up in the air still, as Venus completes her retrograde through Libra. If things aren’t clear, there’s no shame in holding back until you feel that the time is right. Mars is going to remain in Pisces for the rest of the year, which signals major changes in the masculine paradigm and with the Masculine dominant Twin Flame. It’s about an increased balancing and sensitization of the masculine collective fields. You might know the universe is always working to bring balance – and right now there’s a cosmic “effort” to uplift the masculine fields into increased empathy, gentleness and understanding for others. Remember this can trigger old ego patterns to flare up in the interrim. For best results with your masculine Twin, AND to make the most of the 11/11/11 gateway, have a look at the Higher Dimensional Anchoring and Awakening Session here. Be mindful of shielding yourself from negativity, and staying grounded this period. Otherwise you’re likely to feel like a rudderless ship out at sea. A benefit is, your intuition is set to be highly powered. And you can choose to grab the moments when they’re at their highest and simply acknowledge the ups and downs for what they are. Fortunately, Mars is also making a sextile to Uranus and you can access that current energy to give you a bit of an edge. This combination is all about problem solving – taking in inspiration, making things happen and finding solutions. 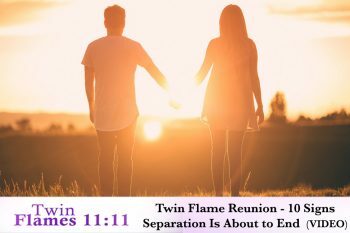 It also signals that the Masculine Twin Flame is set to be triggered to purge old 3D programming and receive new high vibrational “infusions” of light codes over the next few months. Mars in Pisces is in its highest form about taking spiritual unity of unconditional love, and bringing it about into real world action. Even, suddenly tasting what they’re eating or smelling their aftershave or perfume when you’re apart? Have you received messages and connections like this on your journey? Share in the comments below! Telepathy is surprisingly common between True Twins – in fact, it’s one of the hallmarks of the connection. Dreams and astral experiences between Twins are also common with these energies present. 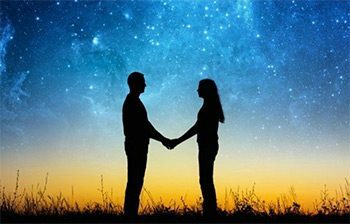 Read more in “Everything You Need To Know About Twin Flame Telepathy” and learn how to activate and develop this aspect of your connection in class 2 here. Pisces energies contribute to an increase in spiritual or metaphysical connections – your Masculine Twin is set to be more open to this than usual. Not because they necessarily choose to, but unconsciously. And spirit shows us it can “carry over” into waking life. 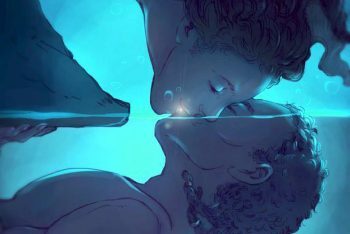 Pisces is traditionally the 12th house of the unconscious, extrasensory phenomena, spirituality and the “higher octave of love” – unconditional love. 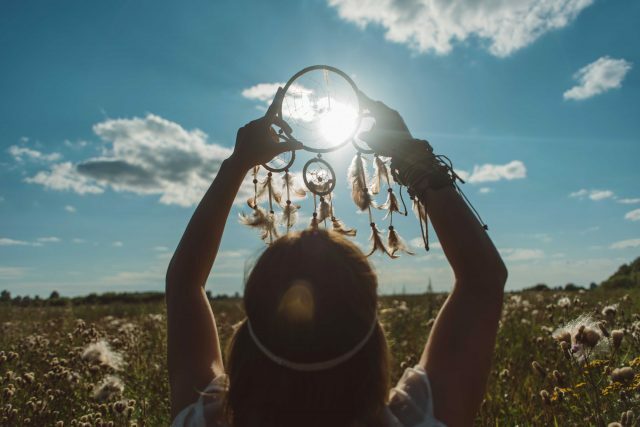 Keep these themes and the “parallel realm” of life (5D) in mind this month and use metaphysical tools to help you tap into the non-physical bond you share with your Twin! 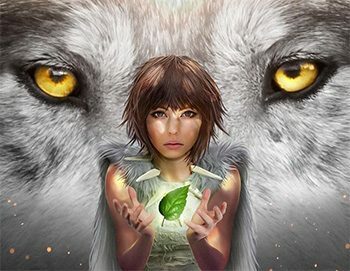 For Twin Flames these next few weeks present a unique opportunity to strengthen the soul bond, telepathy, 5D remote interaction and the heart connection from soul to soul. To take full advantage of this time, have a look at this session. The energies present now create a thinning of the “fabric of reality” as we perceive it – especially for Twins. You can expect to notice your connection more palpably now compared to previous months. Even as little as 5 minutes a day of sitting in meditation, helps to open you up to messages and to attune to this. 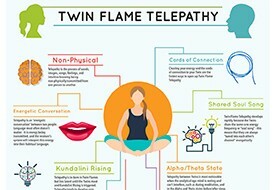 Twin Flames have an “inborn” connection to each other, but in most cases it’s not open or utilized fully because the mental mind (the “ego”) is so active with thoughts and perceptions that we can’t perceive it. Consider it like a phone line from Twin to Twin – if your “line” (your mind) is busy with your own inner discussions and buzzing questions and concerns, your Twin’s messages can’t get through. Meditation can work wonders to open you up to both your own intuition and to your Twin. Try it now with this Free Guided Meditation! Chances are that you won’t manage to do as much as you’d like with the low energy that’s around in this next period… But know this: Getting started is the hardest step. In fact getting started might look impossible – it isn’t. If you can get started, the rest will flow. If you keep your focus on the big picture, things will feel a lot smoother. And the more active you are, the more you’ll get done. You don’t need to plan things in too much detail in this period. Things will work much better if you go for small steps and follow your instincts – because your intuition is set to be in the driver’s seat. That’s not to say they won’t second-guess or resist, but know that they ARE receiving guidance and nudges from spirit in some form or another. Right now, you’ll likely have to be the alpha in the connection. And again, this has to do with balancing the Masculine/Feminine. You may find yourselves in “opposites” now. On the 16th Venus finally turns around and stops going backwards. About time, you may say! Getting relationships to go anywhere has felt like a struggle over the past months… But if you’re going to sort things out, you will need to take a close, very close, look at your relationships, on all levels. The biggest “lesson” we’ve been pushed to learn is that our inner state, how we love or don’t love OURSELVES, is the key to all our other relationships in life… Especially with our Twin Flame. The problem right now is that at the same time as Venus decides to go forward, Mercury smartly turns backwards! It means we’ll still be in turbulent waters energetically. Sagittarius’ biggest weakness is about lack of empathy. This is a lesson we’ll be pushed to learn now. And again the spotlight is on us – we’re set to be taken over old ground in terms of communication, words, ideas, creation… Where we were NOT loving or conscious. Did you know that your words are a key part of creating your reality? They powerfully affect your Twin Flame connection. Discover more in this article, and get a Free Chakra reading for Twin Flames. At least when you’re aware you can make an effort to be more tactful – and make apologies when you get it wrong, to open up to a higher state. Take an honest look at your situation with your Other Self. Could you have hurt them? Perhaps without meaning to? We see this is highly likely… If so, it’s time to make amends. Mercury is practically standing there waiting while you get to it. Misunderstandings, miscommunications… it’s all so tiring. But this particular Mercury retrograde seems even more draining than usual. And everyone seems so irritable. What’s that all about? It’s because of this: On top of Mercury moving in the opposite direction to the rest of the world, Neptune Retrograde gets involved – making a challenging square to Mercury. Things people wouldn’t normally make a lot of fuss about seem to turn into a big deal, and the potential for confusion is more than doubled. You’re also likely to struggle with the contrast between intuition and logic, between your spiritual awareness, experiences and hopes – vs the “real world”. It isn’t that you find it hard to join the dots; you might not be able to find the dots in the first place. It would be wise to postpone important decisions for at least a couple of weeks. It seems a bit like everyone is wading through a fog of confusion in this period. Where Have Your Wishes Got To? And when it comes to relationships, perhaps you’re not wearing rose tinted glasses, but they’re very likely out of focus. But how to get things to happen in a real life way. It’s not about making wishes to some Santa Claus character out there… (Or waiting for an 11/11 gateway!) That rarely works, if ever (as many Twins have experienced). WE are the co-creator miracles must happen through. As the spiritual saying goes: “I am not who you think I am. YOU are who you think I am”. Projection and illusion are big themes when Neptune is involved. Working out who other people are is one matter – on some level, you’re not even sure who you are at the moment. The good news is, it’s not going to go on for long and there are some advantages to this energy. For starters, you can access your creative side a lot more easily than usual. However, logic and your “real world” journey is set to feel hazy at best. Another shadow right now is falling prey to fantasy painted as “divine wisdom”. Neptune challenging Mercury Retrograde also highlights – what “spiritual information” have you been engaging with and taking on? Has it served you and helped you? Or has it merely submerged you into powerlessness, escapism, confusion? Be aware at this time – if you listen, if you tap into your own inner power, your intuition will always lead you well. Go within, center into your light and know that all the answers you need can be accessed through your inner divine soul self. And re-claim what’s rightfully yours. 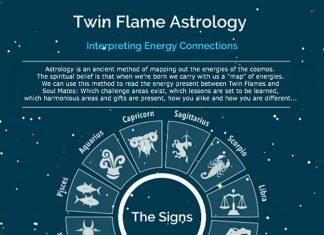 Your Twin Flame connection may well depend on it.